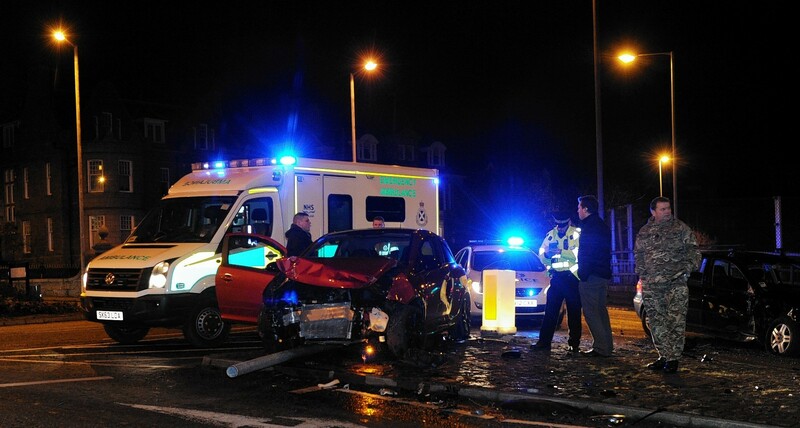 Emergency services attended a road traffic collision on the roundabout between North Anderson Drive and Queen’s Road at around 10.30pm. This was between a black Volkswagen Golf and an orange Vauxhall Corsa and led to one man being taken to the Aberdeen Royal Infirmary. It is understood that the head injuries sustained were only minor. The two vehicles blocked the southbound exit to the roundabout. They were uplifted around midnight and the road was cleared.